it’s estimated up to 100 elephants are killed each day, driven by the insatiable global demand for ivory. 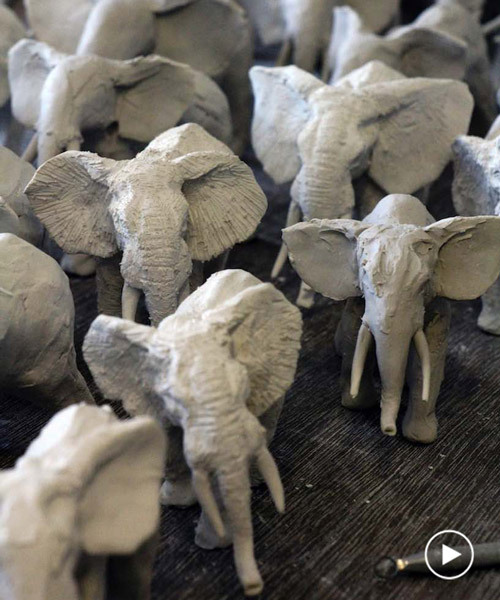 on wildlife conservation day, 4th december 2018, british ceramic artist charlotte mary pack will be going against the clock, making 100 elephants in porcelain in 24 hours — to help raise awareness. mary pack’s finished piece and film will be on display from 28th february to the 3rd of march 2019, during collect 2019 at the saatchi gallery, london. 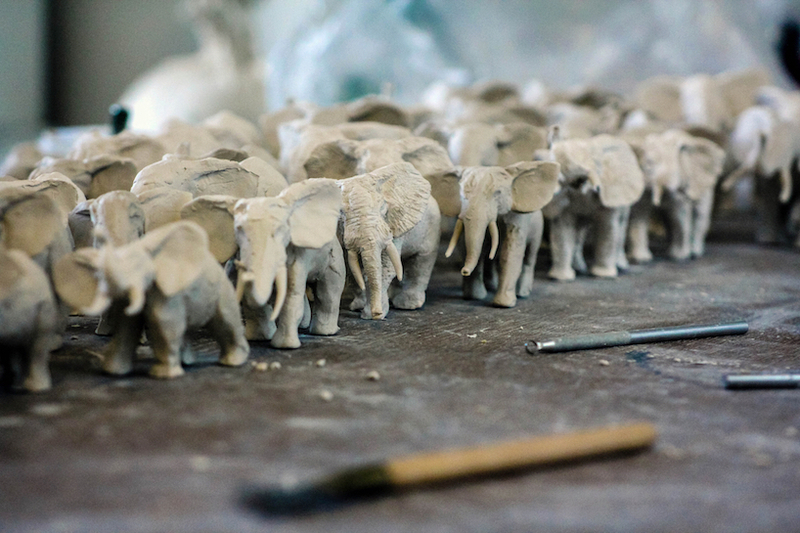 the making will be streamed live from the artist’s studio to facebook and instagram, during 4th december, under the hashtag #saynotoivory. as she describes, this is a project charlotte mary pack is extremely passionate about. 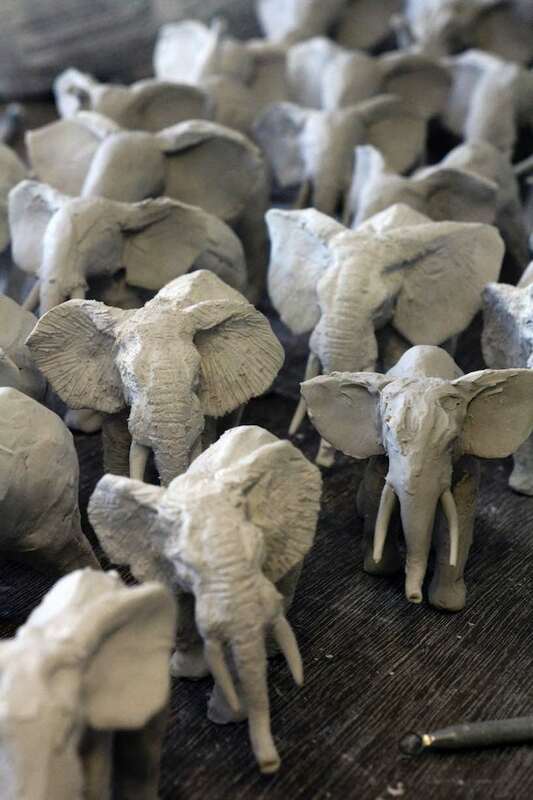 during the exhibition, she wishes to create a visual impact, and use the universal language of craft as a way to engage the public, provoke a reaction and raise awareness of our dwindling wildlife.